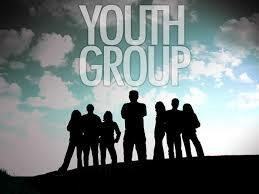 Our youth group includes teens from sixth grade to twelfth grade. We meet every other Sunday from 6:00p.m. to 8:00p.m., for games, snacks, and Bible study. We have about four special outings throughout the year, stuff like bowling, mini-golf, and Six Flags. Jim and Clare Finlay are our Youth Leaders. Jim and Clare are fun-loving and warm-hearted Christians who love the Lord and work hard to make the youth group a fun and spiritually challenging event. They also have help from various people in the church to assist with some of the events.